Dishonored is a game filled with themes of class struggle, environmental exploitation, and religious dominance over the masses. 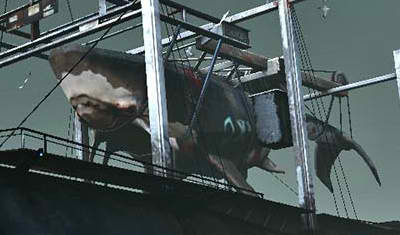 This is a game where the energy economy is literally based on whale-killing. Every machine is run on whale oil. The designers decided that the whole “save the whales” bit (that environmental conservationists like to make bumper stickers of) needed to be a bit more direct. I find that watching something die while I fill my gas tank makes the whole thing much more satisfying. This is a game that changes based on actions that the player takes. For example, while the fictional city of Dunwall is under a rat-based plague, the plague only gets worse if a player kills characters that are otherwise avoidable. The player’s “chaos” rating increases with the amount of blood they spill, and as chaos increases, things only get worse for the people scraping by in the poor parts of the city. Why the Victorian setting? Because income disparity is more visible to our modern eye. Why the steampunk machines? Because the Industrial Revolution brought about massive change and technological progress, but at the cost of thousands of low-class worker’s lives. The authors of this setting and story intentionally inserted elements and themes that could be easily assigned meaning. And while I do think these are all genius moves to inject meaning into what otherwise looks (to some) like a senseless pastiche, the meaning breaks down entirely when you give the player the option to skip the dialogue that fleshes out the effects of these elements on their lives and the society of Dunwall at large. I don’t think for a moment that these thematics are unintentional, nor do I think that the player would be better off without recognizing them. The more aesthetics and detail are worked into a project, the more meaning there is to mine out of it, intentional or not. Only clumsy artists think that works can be clean of meaning, or that it can simply be ignored. I’ll say this, though: if you want a game clean of issues concerning class conflict or environmental issues, play Tetris. The designers of Dishonered worked for years to make this game, and they worked extra hours to put the thematic elements that fill the spaces between the mechanics. They didn’t have to. They could have just made a game about stabby sneaking and left it there. They didn’t. As it turns out, they had something to say. For reasons I can’t understand, though, they decided to allow the player to skip a majority of the parts where these things get worked out and better understood. I say that if you’re going to make a game with thousands of hours of labor put into it, then the player should have to listen to every goddamn word you have to say. Don’t be shy. It’s your work, and you shouldn’t be afraid of scaring away impatient teenagers. They need to hear the things you have to say. And, if it turns out that you have nothing at all worth saying, do us all a favor and get into something else. If games are going to be taken seriously as an art form we need designers who will take the time and responsibility to say things and be sure that we’re hearing them. Skip the skip button, people. Listen. Great post! 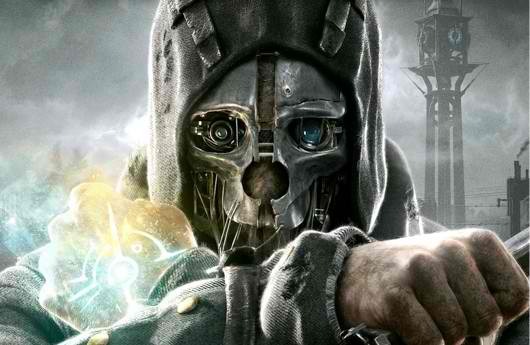 I agree that Dishonored has some amazing themes worth mining. Personally, I wasn’t sold on the story — just in terms of the character’s journey, or personal story — but the overall atmosphere and the politics of Dunwall’s society were incredible. And as a big fan of stories in video games, I dislike most “skip dialogue” mechanics! That being said, I do understand gamers who are tired of overindulgent cutscenes, which seem to plague modern video games more and more each year as games become more cinematic, etc. I mean, video games are all about interactivity; otherwise, why not just watch a movie? Thanks! You make some great points.